It has been way too long since I’ve done a Sunday Post wrap up. That’s probably because I’ve been taking writing workshops for several weekends, plus I taught a gardening class. I don’t seem to be organized enough to prepare during the week, which some of you do. Sunday Post is a fun meme, so I’d like to try to get my act together more often. Otherwise, I’m in the throes of spring cleaning. I rearranged my furniture, have been organizing my books (always a major task), and even cleaned up the yard. You should have seen the dust bunnies fly! I have four bookcases, but they are all filled past capacity. Do you think I need another bookcase? How many bookcases do you have? Karen and I have been reading The Horse Whisperer by Nicholas Evans, which is the tenth novel from The Bestseller Code 100 challenge. Published in 1995, it was Nicholas Evans’s debut novel. It was later made into a movie with the same title starring Robert Redford. Did you read the book? See the movie? I also participated in the Spring 2017 Bloggiesta. Bloggiesta is a fun way to get to all those blog projects you’ve been meaning to get around to. This novel is next for the Bestseller Code 100 reading challenge. It won the 2013 Pulitzer Prize for Fiction. It is set in North Korea. We discussed the first paragraph for Book Beginnings on Friday. The National Book Critics Circle announced the 2016 finalists. My library has copies of the two I want to read, Lab Girl and LaRose. Sweet! As the end of 2016 approaches, it’s time to reflect on accomplishments of the past year and make plans for next year. Looking back, I did complete a few goals. I finished the first draft of a novel and started this blog. With some regret, I decided to shutter my children’s book blog Wrapped in Foil. I stepped waaaay out of my comfort zone and took a martial arts class. Through it all I met some wonderful people, not only in real life by joining new writing groups, but also online through memes. Best wishes to you all! Here at the blog we talked about Primary Colors: A Novel of Politics* by Joe Klein (previously published anonymously). Primary Colors is part of our challenge to read through the 100 novels recommended by the computer algorithm in The Bestseller Code by Jodie Archer and Matthew L. Jockers. This is an older book, published in 1996. We start reading Little Bee by Chris Cleave (2008) on Monday December 19, 2016. (Little Bee was also published as The Other Hand. ) Have you read it? Stop by and join the conversation. 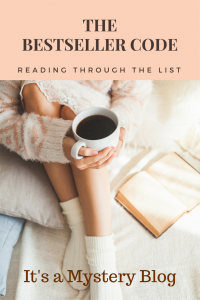 Although the Bestseller Code 100 challenge we’re hosting will keep me busy, I think I’d like to get something for Rose City Reader’s 2017 European Reading Challenge. The long-running Non-Fiction Adventure looks intriguing, too, but I know I could never stick to a 50-book list prepared in advance for nonfiction. My interests change way too much, sometimes hourly. What about you? Are you taking part in any reading challenges next year? What are your favorites? It’s December, so we should expected to be covered with the white stuff in some parts of the world. Unfortunately, “the white stuff” in my world was in the form of tissues from the tissue box. Between my family and I , there was veritable blizzard of the stuff. Hope you all escaped the blizzard and have a very good week. 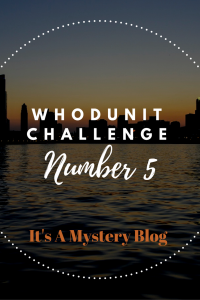 Monday Karen posted her reader’s review of State of Wonder by Ann Patchett (spoilers) for our Bestseller Code 100 challenge. I posted my review/analysis of State of Wonder from a writer’s perspective on Wednesday (spoilers). Note: If you have ever reviewed State of Wonder, please feel free to add your link to this post. Friday we joined the Book Beginnings meme with the first few lines of next book in our challenge, Primary Colors. Did you read this book or see the movie? Genre: Political novel, originally published anonymously in 1996. I needed a trip to Venice. Where do you wish you were going this week? Rose City Reader has a list of vintage mysteries she read for a challenge this year. What a terrific idea! This week was a blur of classes, meetings, and errands. It will be good to have a day where I don’t have to go anywhere. Finished my review of Dennis Lehane’s Shutter Island from a writer’s perspective. Listened to Lee Child’s interview about his newest book, Night School. Participated in Book Beginnings on Fridays with Ann Patchett’s State of Wonder. Karen and I are going to start discussing Ann Patchett’s State of Wonder for The Bestseller Code 100 challenge. After plowing through the challenge books this week, I needed something comfortable and easy to read. I picked up the first Nero Wolfe mystery, Fer-de-Lance* by Rex Stout. I devoured the Nero Wolfe books when I was younger. Reading them again from a writer’s perspective opens up a whole new level of appreciation. Do you have a favorite book or author you grab when you want a fast, comfortable read? Pairing travel and reading seems like a natural thing. BookRiot has some suggestions this week for reading locally when traveling. In a shameless plug, I’ve been keeping a (rather neglected) list of children’s books for families traveling through the states. Someday, I’d love to see it expanded to other countries. 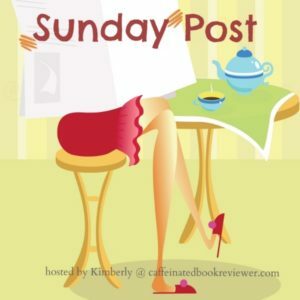 Today we’re joining the Sunday Post meme at the Caffeinated Book Reviewer blog. She has some big news today! I had a “challenging” week. On Monday Karen and I launched our Bestseller Code 100 reading challenge. Yesterday I finished the NaNoWriMo October Prep challenge. In between I had an unexpected health challenge. I’m on the mend now, so let’s get to the links. Monday: The challenge is to read through the list of 100 bestsellers picked by the computer model described in The Bestseller Code by Jodie Archer and Matthew L. Jockers. The following week (November 7) we’re starting with book number 100, Dennis Lehane’s Shutter Island. Thursday: We asked book lovers where they pick up their books at reasonable prices. The discussion flourished on our Bestseller 100 Reading Group Facebook page. Saturday: Did you see the online interview with author Jodi Picoult earlier in the week? If not, I’ve got a brief summary and links to the archived video. National Novel Writing Month begins Tuesday. As I’ve told my friends and family, don’t expect to hear from me again until December. 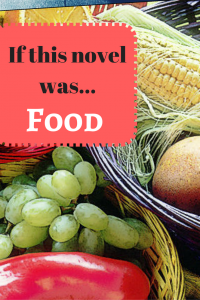 Pages Unbound Reviews asks Can You Run a Book Blog without Book Reviews? After running a children’s book review blog for a number of years, I would say that writing reviews can become drudgery. Blogs that offer a mix of content are more fun to read, too. What do you think? Can you leave out book reviews completely? (Link originally found at Got My Book).